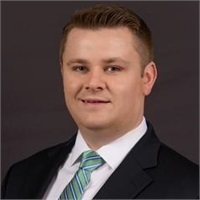 Timothy M. Grogan is a financial advisor at New England Schooner committed to developing strong relationships with his clients. Tim helps families and businesses plan for a future of financial stability and freedom. An accomplished industry professional for over a decade, Tim is a forward-looking advisor focused on using his expertise to help his clients reach their long-term objectives. His patience, insight, and understanding makes Tim an invaluable asset to the individuals and families he serves. With a direct and powerful personal mission, Tim is dedicated to working diligently to provide clients with the knowledge and recommendations they call for in order to find themselves in an achievable and sustainable financial lifestyle. Tim lives in Malden, MA with his wife, Jen and their young daughter, Ellie. Passionate about giving back in any way that he can, Tim has helped raise nearly $200k for the Mike Patterson Foundation in support of the Jimmy Fund and its renowned cancer research.